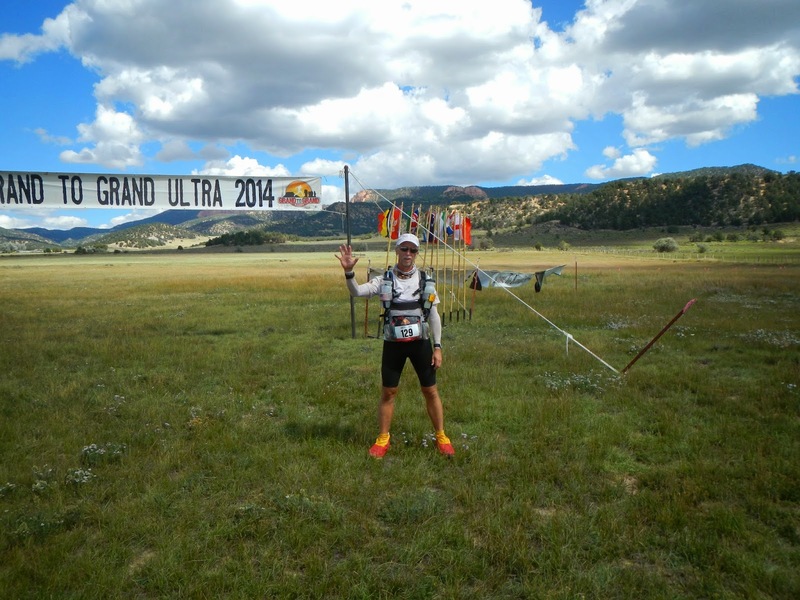 Here is a re-post of my G2G Ultra race report from 2014. 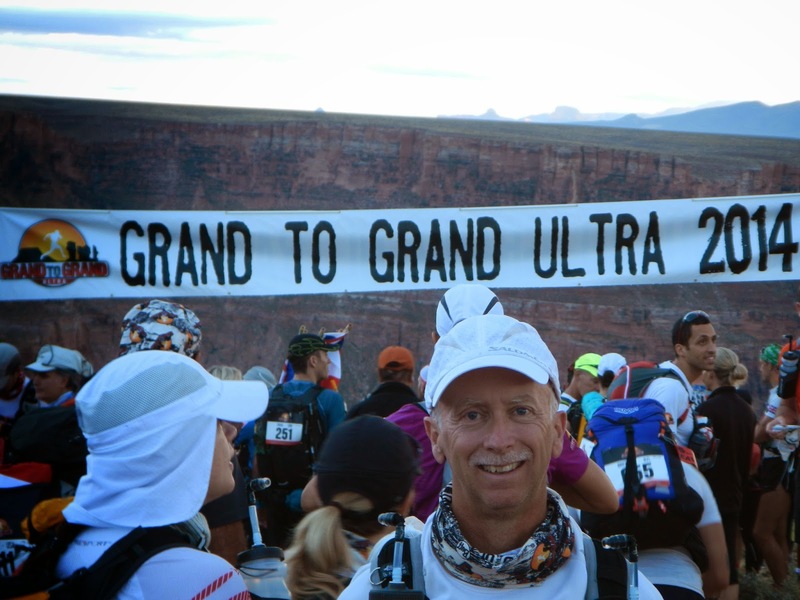 Now that I am back and some what rested here are some pointers relating to my participation in the 2014 G2G. 1. 20,000 kcals is almost not enough for this race if you are competing. 14,000 is a starvation diet, and you will starve! You should consider very carefully how much you bring. I also found that fewer nuts and more liquid based calories would have been good during the hot days. 2. Full gaiters are very useful due to the large amounts of very fine sand. Some got by without them but at a cost of time or blisters. 3. The standard kit worked well. Nice to have the down jacket at times to save body heat and calories. Starting weight was under 18 lbs without water. Finishing weight was 7.8 lbs. 4. Foot taping is a must. Again there were many there that did not know about this important aspect of stage racing. Research and practice before hand is a good idea. If your feet are trashed it is unlikely you will finish. 5. Hydration and electrolyte maintenance was critical. This got many on the long day. Even though it was not extremely hot (temperatures were never over 100) those not use to it were suffering. I would suggest some bit of heat training for this event. 6. The scenery was great. You need to stop and look around, take some pictures, etc. Since there was no moon out, the stars were great especially in the dune field. Many shooting stars. 7. Sleeping was difficult at times due to unlevel and uneven ground. While those setting up camp tried, the requirements imposed on them by various entities made the selection of camp sites difficult. Some used sleeping pills. If you do I would suggest understanding their effects prior to arrival. 8. There was sufficient water available on the course and at camp. Note enough to shower and do laundry but more than enough to stay hydrated and practice proper hand hygiene. 9. The altitude was getting to some. If you live at sea level it will hurt some. 10. This is a hard race due to the daily distances and terrain. It is difficult to make a direct comparison to other events like MDS or other stage races due to differences in terrain, temperature, weather, etc. Cut off times are reasonable however some will not make them. If you prepare you can finish this event. 11. Course marking was good but many still missed turns. You need to pay attention and think at this race! 12. Cross country (off trail) running is good to practice. 13. Having great tent mates is awesome! 14. You really need to pace yourself during the entire event. It is very easy to fall off the edge! 15. Be sure and label all your food/wrappers with your bib number prior to check in. 16. Try and arrive early to enjoy some of the offerings in Kanab. The town is very friendly and supper supportive of this race. 18. The dunes were very hard but short. 20. This is a great race right here in the good old USA. If you are a stage racer you should do this one!